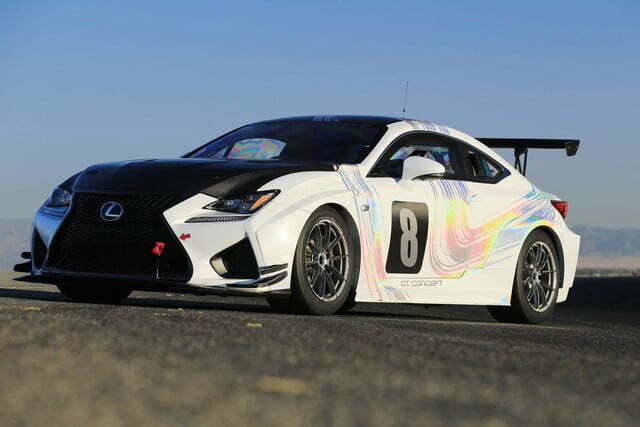 The annual Pikes Peak International Hill Climb is a chance for drivers and carmakers to achieve great glory, but Lexus also wants to use it as a test track. 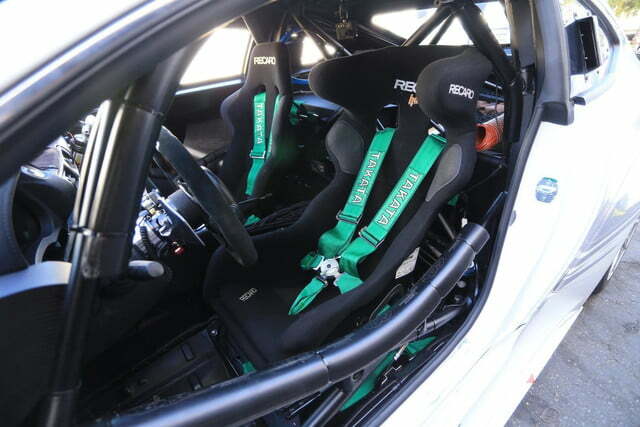 Toyota’s luxury brand previously fielded the IS F CCS-R at Pikes Peak to test components for future production cars, and it will try that same approach for this year’s 93rd running of the hill climb with the IS F’s successor. 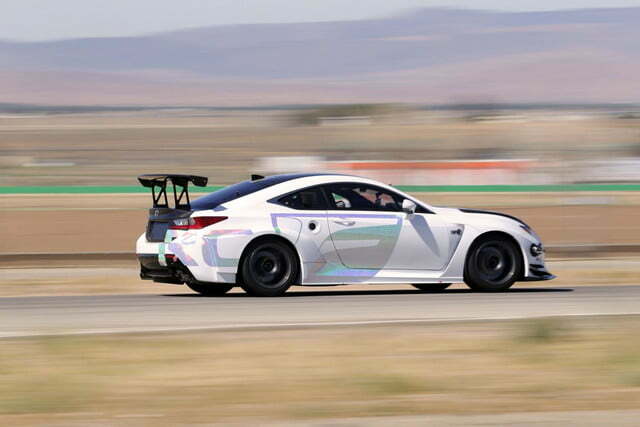 Wearing the same trippy color scheme as the RC F GT3 racer, the Lexus RC F GT Concept will certainly be hard to miss as it makes its way up the twisty 12.42-mile Pikes Peak course. 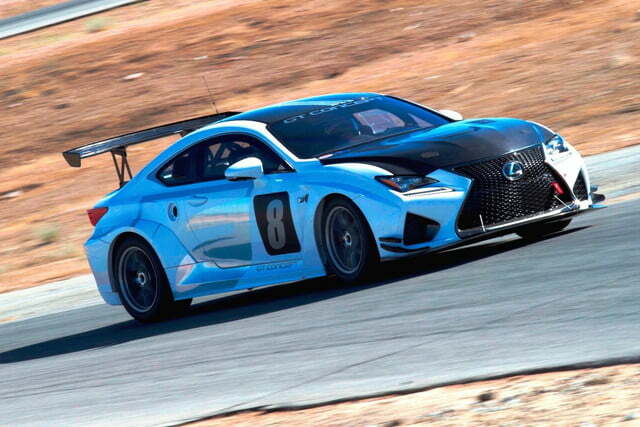 The car features the same 5.0-liter V8 as the stock RC F, but Lexus says it will produce more than the showroom-spec 467 horsepower and 390 pound-feet of torque. As in the standard car, the V8 drives the rear wheels through an eight-speed automatic transmission. Racing modifications include a carbon fiber roof, hood, trunk lid, door panels, and over fenders, plus polycarbonate windows. All of that cuts around 800 pounds, leaving curb weight at a still portly 3,130 pounds. 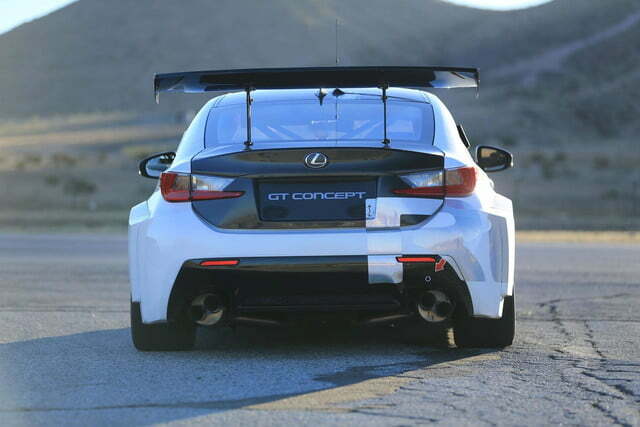 A carbon-fiber rear spoiler and front canards improve aerodynamic performance, and make the RC F GT look just a little bit cooler. 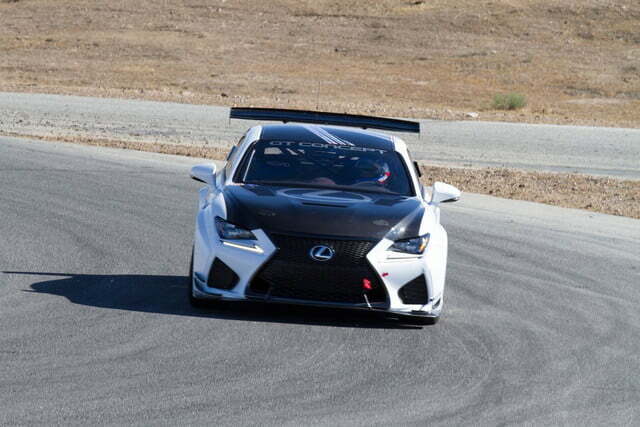 Lexus says its return to Pikes Peak is about more than just showing off, though. It claims the race will give engineers the opportunity to test prototype components, settings, and software. 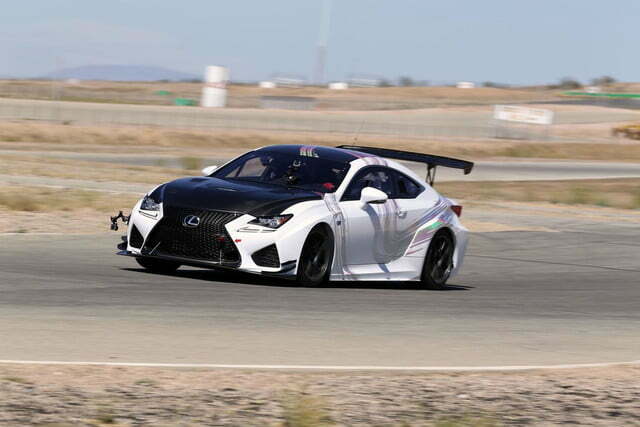 It notes that similar work with the IS F CCS-R helped in the development of the production RC F’s engine and transmission. It seems like Lexus could use the help. The RC F has drawn a lukewarm response from the automotive press because of its relatively soft feel and considerable girth — a result of Lexus’ now-nixed plan to build an RC convertible. 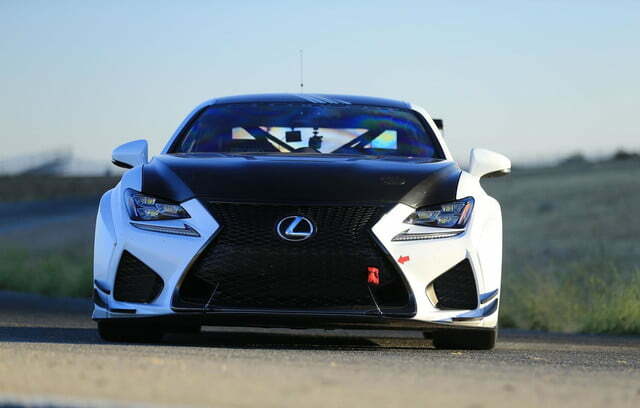 The RC F GT Concept will compete in the Time Attack class, so it won’t be challenging the overall record of 8:13.878 set by World Rally Champion Sebastian Loeb in the insane Unlimited class Peugeot 208 T16 back in 2013. Pikes Peak attracts a wide variety of vehicles. This year a Honda ARX-04b that’s normally seen lapping the road course at Daytona will mix it up with a purpose-built electric car from Croatian carmaker Rimac. All competitors face one of the most challenging environments in motorsports, with 156 turns and an elevation increase of 4,000 feet before reaching the 14,110-foot finish line. It should be quite a show.